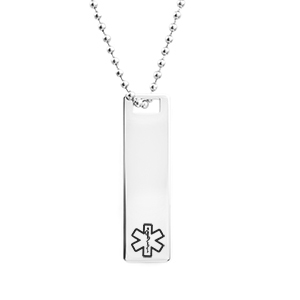 This polished steel medical alert necklace comes with the medical alert symbol engraved on the bottom. It comes with a 20 inch 2.4mm bead chain. You can customize this necklace with engraving on both the front and back to include your medical care instructions.